Christian Franco and Ella Franco are brothers and sisters, but the incident of their father murdering their mother and abusing her violently before destroyed the bond between them. It wasn’t until Christian met his wife that he first relished the reminiscent taste of love. But as time slipped bypass his crude fingers that he realized the love he gripped it too tight that his wife was escaping because it choked her from it. He was once again abandoned by his family. Struggling to cope, he depletes himself by testing experimental medicine from a former physician that now treats dogs bred to fight. This is a tragedy of one person’s life, but he was able to collect the pieces of his mom’s death and eventually muster them together as a complete puzzle. His life then lingered between comedy and tragedy. 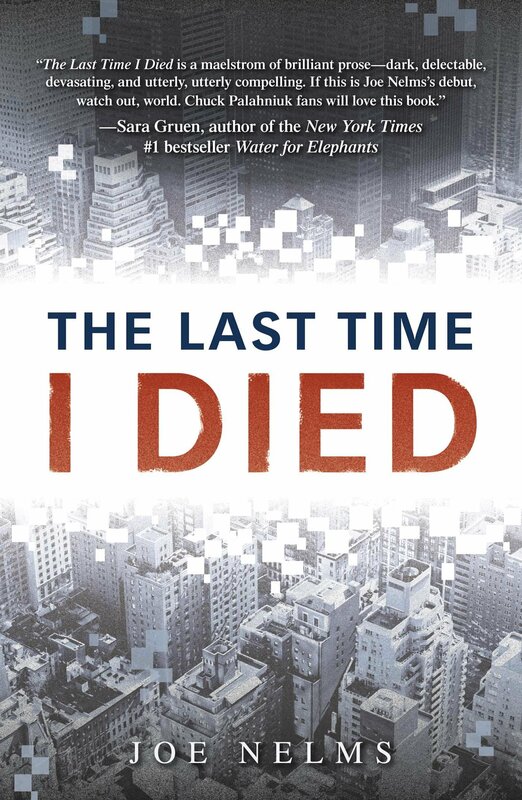 The Last Time I Died by Joe Nelms is available for checkout from the Mission Viejo Library. Posted on October 30, 2017 by Leann D.
I see myself more of a spiritual person more than religious one. Not that I don’t believe there’s a God or that there’s a higher power, I just feel myself being drawn to spirituality and the stories and tales behind it. My opinion and outlook on that has never really changed because I believed in it so strongly. Although it doesn’t make me narrow minded (that at least I’d like to believe). Because of my open mind, my sister convinced me to watch Heaven is for Real directed by Randall Wallace and written by Wallace and Christopher Parker. The story begins with a young boy around age of 5 who goes into a risky surgery with a small chance of survival. During his surgery he tells of his near death experience and how he visited heaven and met Jesus Christ himself along with the Angels. 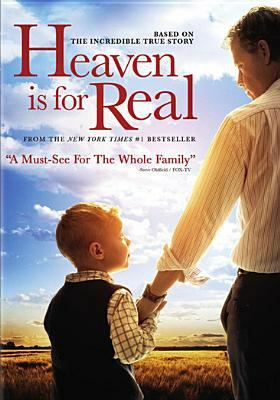 Throughout the movie his father, the pastor of their town church attempts to convince others that his child really did see heaven and that Jesus is real. To me, the movie portrayed hope and that a strong belief can do wonders for you. After watching the film, it made me look at religion differently and has changed my opinion heavily. It was a wonderful and eye opening movie and I would really recommend it to anyone. Heaven is for Real is available for checkout from the Mission Viejo Library. Posted on October 20, 2017 by Leann D.
You’ve never seen any nastier fights or heard crazier drama than those done by girls. Lying, manipulative, and persuasive, we get away with pretty much anything. Which leads me to present one of my most favorite TV shows, Pretty Little Liars. The series was developed by I. Marlene King (based on the book series by Sara Shepard) that premiered June 8, 2010. The main characters of the series are four best friends living in the small town of Ravenswood, Pennsylvania. The young women are connected to Alison Dilaurentis, the popular girl of them all. When she goes missing, the five girls split up at the same time the town is whipped into a frenzy. Local papers and news channels go wild as they all ask the question, “Where is Alison’s body?” Almost two years after the disappearance, the girls reunite after Alison’s body is found and the signs pointing to murder. Everything but peace has settled on Ravenswood and the girls. To make matters worse, an unknown stalker known only as “A” begins to torment the girls with secrets they only thought they knew through blackmail. “A” also harrasses them with information of Alison’s death and her killer. “A” is known only to the four girls because going to the police would only make matters worse, leaving them to be the only ones to figure out the murder of their beloved friend Alison. Pretty Little Liars is a TV show is full of teen drama, crime thrillers, and most of all, mystery. Posted on August 16, 2017 by Elina T.
What if people had the ability of selecting the genes that their child would inherit? Of choosing only the best for their child, the genes that would produce the highest IQ or the longest lifespan? How would you feel if you, someone whose genes are random, were surrounded by people who are…”perfect”? Vincent’s family didn’t program or alter his genes in any way. After testing his blood when he was first born, they knew that he would die early and had a very high risk of heart disease. Nevertheless, he pursued a career of studying space and the planets, despite his parent’s protests. He realized though, that he’d never be able to get a job with his own DNA. This is why he pretended to be Jerome: the perfect man, by “purchasing” Jerome’s DNA to use as his own. Jerome’s parents did select his genes. He was “created” so that he’d have an exceptionally long lifespan, and so that he’d be very intelligent. But just because you choose the perfect genes for your child, it doesn’t mean they will be successful in life- it just means they have a better chance at success. In the movie, he said he’d walked in front of a car while he was sober. He must have done that purposefully- he was probably fed up with everyone and how they expected so much of him and chose, with a clear mind, to become crippled. In the society of this movie, your success is based on your genetics- your DNA. If you don’t have what is considered the “ideal” DNA, you won’t even be considered as someone who is capable of working. On the other hand, if you possess what is considered “perfect” DNA, you wouldn’t even have to interview for a job, they’d hire you on the spot. In my opinion, I think that this is very unjust. People should be viewed and assessed based on their talent and drive, not their DNA. DNA isn’t really something you can change- it’s what you’re born with. But people’s motivation and drive are things that they themselves control. I’m also very skeptical on the idea of parents choosing their children’s genes. I think that however the child turns out, that’s how they were meant to be. Part of what makes us human is our mistakes, and by choosing only the most appealing genes for your child, the chance that they’ll make any mistakes will become nearly obsolete. Additionally, I think that if more and more people were to start hand-picking the genes that their children receive, people would become more and more similar. If people were to choose the genes for their children, they’d all probably choose the best possible ones, and if everyone did that, all children would be near perfect. There would be no more variety, and I think that our individuality is definitely something we should try to preserve. Despite my uncertainty relating to some of the ethics that this movie brings up, I think that it’s very fascinating and thought-provoking, and definitely worth watching. Posted on July 1, 2017 by Elina T.
This is one of those shows I probably never would have watched had everyone not been raving about it. Well, maybe not everyone was raving. Riverdale is based off of the Archie comics, which I had never heard of before, so unfortunately can’t really tell you whether the show holds true to the source material. Anyway, the show takes place in a town called Riverdale (hence the name) which was a perfectly normal place. But a boy’s body, Jason Blossom, has been discovered by the rivers’ edge. As the city’s police begin investigating the case, Riverdale’s less flattering qualities start to surface. The town isn’t as perfect as it had once appeared to be. 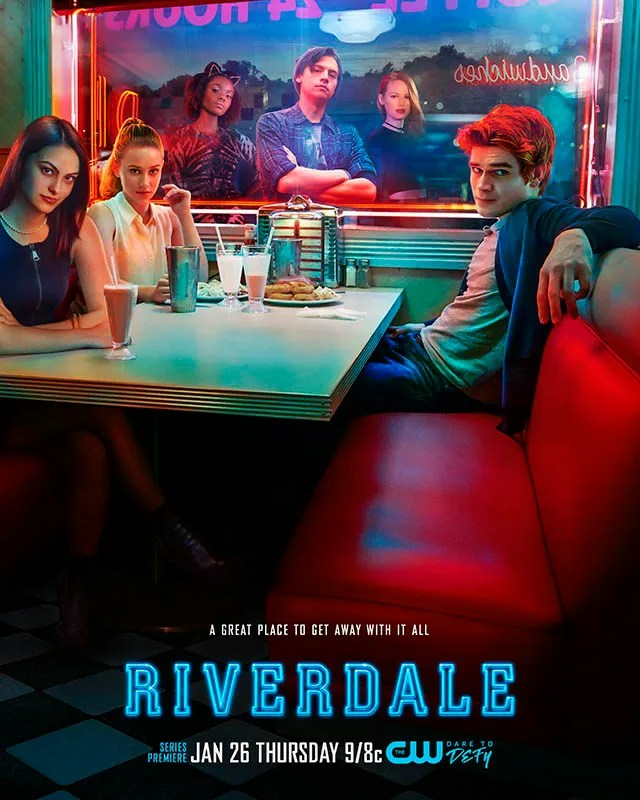 The show follows a group of students: Archie Andrews, Betty Cooper, Veronica Lodge, Jughead Jones, and some of their other friends. As the shows progresses, the students begin uncovering secrets that bring them closer to discovering who killed Jason Blossom. 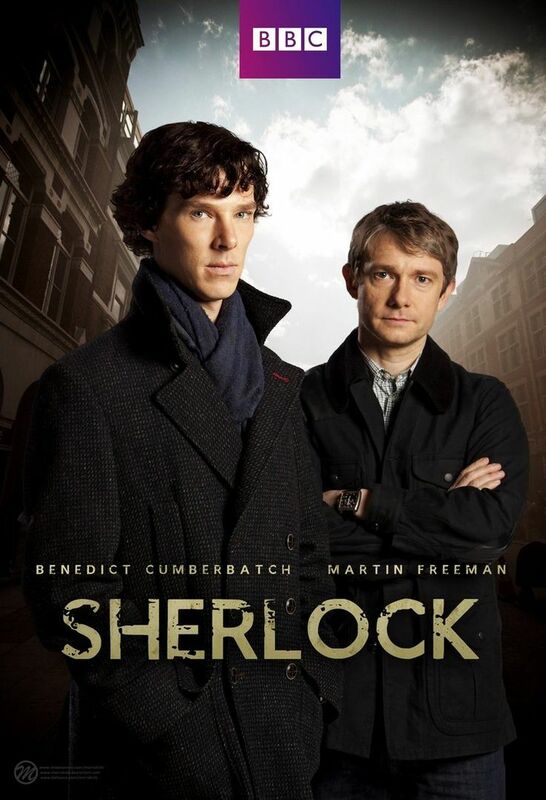 Thus far, there is only one season – the entirety of which I watched in two days, which is pretty impressive because I don’t typically binge watch shows like that. So I actually really liked it even though I didn’t think I would. I love Jughead of course, and the other characters are pretty cool as well. Riverdale is one of those shows where you have to watch the next episode, and the episode after that, and so on, because you always have to know what happens next. That’s how it was for me at least. I actually heard mixed reviews about the show before I watched it, so I wasn’t entirely sure what to expect, but I really liked it and can’t wait for the next season! The one thing I didn’t really like about it though (and it’s really not that important, it’s like this for practically any show/movie that takes place in high school) was that the actors are all in their twenties and they’re supposed to be sophomores in high school. Like I said, most people probably wouldn’t even be bothered by this, but I just thought I’d mention it. All in all, I thought I it was a great show. I really enjoyed it, and if you’re thinking about watching it, I’d definitely say give it a go!